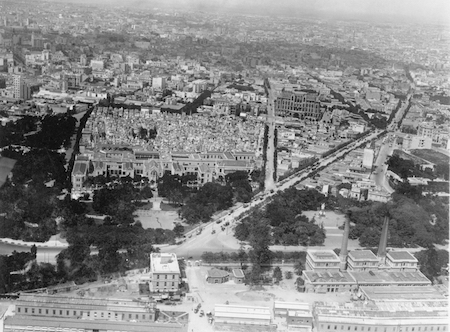 Juan Bautista Borra & Enrique Broszeit pioneered aerial photography in Argentina during the 1920s. Flying in propeller planes while taking risky positions for the best photos, they’ve left behind a valuable archive of Buenos Aires in its prime. More of their story can be found on the wonderful resource, Histarmar (in Spanish). Click on the above photo for a full-size version, found on the Histarmar website.